All Things Dog Blog All Things Dog Blog: Fido's Freebie Friday Can't Wait for the Twitter Party! Can't Wait for the Twitter Party! Will you be there Sunday? Our #SuperDogPics Twitter Party, co-hosted with Dogtipper, will be giving away more than 5 dozen prizes of all shapes and sizes. From footballs to doggie NFL collars, toys, jerseys, cheerleader dresses and team hoodies. We hope you'll join us for photo tips from our expert, Brett Chisholm of Life+Dog, and tons of prizes too. Oh; and don't let me forget that we also have a surprise guest with a very cool live event and prizes to go along. Don't miss it! 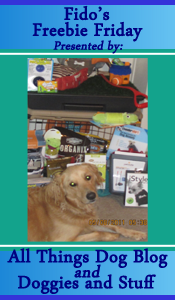 Bloggers: You're welcome to link up your pet product giveaways and prizes here. Our two rules are listed below. Doggies and Stuff and I want to make this as painless as possible, so we have provided you with a HELP PAGE to answer all your questions about participating. We'll be open for linkups through Friday midnight. While you're here, you may want to check out our special Blogger Participation Prizes for Super Dog Sunday™. All proceeds of Super Dog Sunday™ go to the Petfinder Foundation; we are proud to support rescue with this effort and invite you to join us in the photo contest and other opportunities to win, detailed in the post linked above. Fido's Freebie Friday Blog Hop is open to posts about giveaways, contests, drawings, prizes, and freebies for pet products or services only, including pet-related or pet-themed items for owners. Feel free to link up multiple items if you have more than one event going on. Please post the badge above (the code is in the sidebar and also on the HELP PAGE) or a link to this post in your Fido's Freebie Friday blog post and invite your readers to tell us you sent them. Your hosts are All Things Dog Blog and Doggies and Stuff. We'd love to hear from you!